When it comes to the Olympics, Visa has been the credit card of note--and it will continue to be that way, as the two organizations have extended their partnership through 2032. Visa's partnership is as a part of the International Olympic Committee's (IOC) The Olympic Partner (TOP) programme, which is a group of 13 major global companies who sponsor the IOC's endeavors. Visa was an inaugural member of this group when the TOP launched in 1986, and it's been the financial services partner of the IOC ever since. "We are particularly happy with this extension of our partnership because Visa is one of the founding members of our TOP Programme," said IOC president Thomas Bach, in a statement. "Our partnership with Visa demonstrates a shared commitment to the legacy of the Olympic Games and the global Olympic Movement. Visa has always been a driving force for innovation on the world's stage." 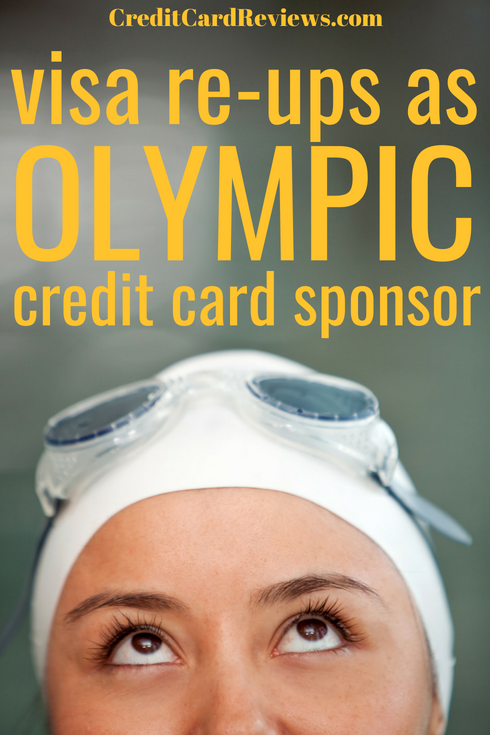 As the exclusive sponsor of financial services, the TOP sponsorship means if you go to an Olympics or want to buy any Olympic merchandise and pay for it with a credit card, only Visa will be accepted. 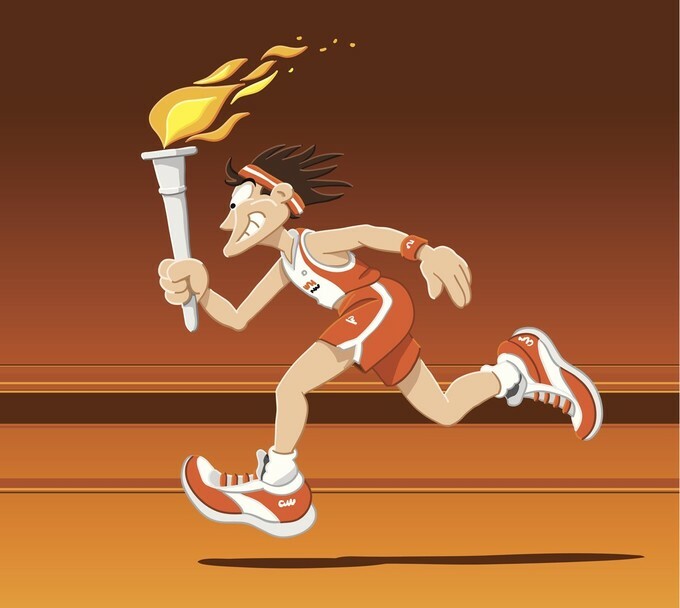 These global marketing rights also extend to National Olympic Committees, such as the United States Olympic Committee. That's why you'll see at Team USA's online store that Visa is the "preferred" card brand. But beyond providing payment terminals at the Olympics and putting out Olympic athlete-based commercials around the time of the Games, Visa also does a lot of unique things with its sponsorship. "Since 1986, Visa has brought the latest payment innovations and digital experiences to the Olympic Games, all while helping athletes in their quest to achieve greatness," said Al Kelly, Chief Executive Officer, Visa Inc., in a statement. "By continuing our support of the Olympic Movement and the Olympic Games through 2032, we will ensure the next generation of athletes, fans, cardholders and clients are able to get more out of their Olympic experience, and be part of a movement that inspires and unites us all to do great things." Some of those payment innovations have included NFC-enabled payment rings, which it debuted at the Rio Olympics in 2016. This piece of water-resistant jewelry allowed wearers to tap and pay for their Olympic purchases. Visa also enabled Visa Checkout and mobile payments for the Rio Games. At this year's Winter Olympics in PyeongChang, Visa debuted new payment form factors, including gloves, stickers and pins that had payment chips embedded within them to allow users to have a way to pay for purchases and also get a unique souvenir out of it. Visa also sponsors a number of Olympic and Paralympic athletes through its Team Visa program. This effort, which began in 2000, gives some much-needed financial and marketing support so they can focus more on their training. Athletes in this program come from around the world and compete in a variety of sports. They are chosen based on their personal journey, their competitive achievements and involvement within their communities. For the Rio 2016 Games, Visa included ten refugee athletes on its roster. Visa's IOC partnership includes being the exclusive financial services provider at the Summer Olympics in Tokyo in 2020, Paris in 2024 and Los Angeles in 2028, as well as at the Winter Olympics in Beijing 2022. The IOC will select a host city for the 2026 Winter Olympics next year. The search for host cities for the final two Olympics during the term of this deal has not yet started, but they will include the 2030 Winter Olympics, for which Salt Lake City is rumored to be bidding, and the 2032 Summer Olympics.